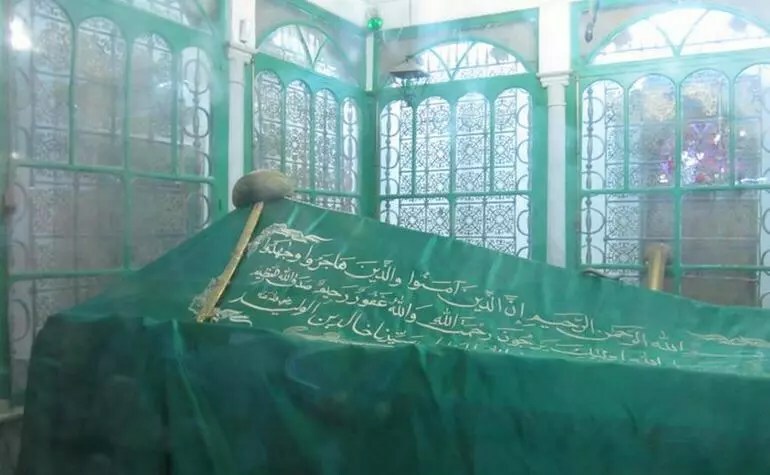 Hazrat Khalid bin Waleed (R.A) was born in a highly respected family of Banu Makhzum of the tribe of Qureysh in Makkah in nearly 585 A.D. His folks were one of the three primary people of its clan and were also in charge of the matters relating to battles. That is why he (R.A) grew up as having finest skills and abilities of warfare and later became earned the recognition of being one of the best commanders known in history. His father, Waleed bin Mughira was famous poet and was amongst the richest men in Makkah. He (R.A) was cousin of Hazrat Umar (R.A), the second righteous Caliph of Islam and both shared similar physical appearance. Right from early age, Hazrat Khalid bin Waleed (R.A) was sent to Bedouins in barren region as a family tradition to learn on his own. He mastered many of the combating proficiencies like using sword, spike, bow and spear etc. and became a qualified horse. He (R.A) was tall with big shoulders and was bodily very strong. He was also considered to be among the best wrestlers of his time. At first he was among the worst enemies of Islam, but later converted to the Religion of Peace because of his awareness and conscious. He (R.A) never lost a battle as a Muslim; even he led the disbelievers of Makkah win Ghazwa Uhud because of his vast knowledge and expertise in fighting. Hazrat Khalid bin Waleed (R.A) had not accepted the Message of Allah SWT and His Apostle ﷺ late until after the treaty of Hudaibya between Madinans and the Makkans that occurred in 628 A.D. It has been said that Rasulullah ﷺ had told the brother of Khalid (R.A) that a brave and intelligent man like him should not keep himself away from uprightness for so long. So, when his brother told Khalid (R.A), he was swayed towards this kind gesture of the Holy Prophet ﷺ and decided to embrace the Religion of Allah. When he (R.A) told his childhood friend Ikrimah ibn Abi-Jahl about it, he was opposed by him, although Ikrimah saved him from torment of Abu Sufiyan and other non believers by declaring him free to choose his faith. In 629 A.D, Hazrat Khalid bin Waleed (R.A) set out for Madina to join the Muslims officially. On his way, he (R.A) came across two other new reverts, ‘Amr ibn al-’As and Uthman ibn Talha. On their arrival in the Holy city, they went straight to the house of Messenger ﷺ of the Almighty Lord and took an oath on His blessed hands. He (R.A) asked Hazrat Muhammad ﷺ to pray for his all wrongdoings and fighting against the Muslims in the past upon which he was assured of his forgiveness by Allah SWT as he had accepted the word of righteousness. In Hazrat Khalid bin Waleed (R.A), Muslims attained one of the best commanders and strategists in the battlefield. He (R.A) got the great honor in the shape of very first dream come true opportunity to be among the ranks of Muslim Army as a result of their clash with Byzantine armed forces in the encounter of Mu`tah held on the northern peripheries of Arabian Peninsula. Hazrat Muhammad ﷺ ordered them to save the fresh embracers of Islam from anguish of their disbelieving rulers. The Apostle ﷺ of God had appointed three commanders who were well known for their combating skills in order to lead the Muslim into Syria. Muslims were outnumbered against the multitude of Byzantinians. Soon, the three chief officers as appointed by Rasulullah ﷺ were martyred and the Muslim flag was about to fall on the ground surface till Thabit ibn Al-Arqam (R.A) managed to save it from falling, who decided to make Hazrat Khalid bin Waleed (R.A) the leader of the believers because of his increased wisdom and familiarity with the matters related to warfare. Due to extreme difficulty in matching the great number of disbelievers, it apparently seemed to be the time for Muslims to retreat. But, Hazrat Khalid bin Waleed (R.A) stood firm and through his tactical mind, he (R.A) rearranged the Muslim army to from rear to front so as to cast fear in hearts of the infidels that disciples of Islam were still many in quantity. Eventually, it was due to his amazing strategic abilities that the Muslims managed to defeat a grand army of Byzantine in that epic battle of Mu`tah. Upon hearing the news of great victory of the believers through a revelation, the Holy Prophet ﷺ informed His companions about death of three chiefs. He (PBUH) also gave the title of “Saifullah, meaning Sword of Allah” to Hazrat Khalid bin Waleed (R.A) because his valor and gallantry in the front line. Soon after the passage of Rasulullah ﷺ, under the Caliphate of first Khalifah, Hazrat Abu Bakr (R.A), many people refused to pay Zakah (one of the five pillars of Islam) and some went too far in claiming the false Prophet Hood like Musaylimah. The Caliph foresaw a major crisis among the believers and decided to fight against the transgressors. 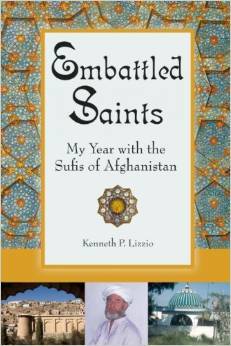 Hazrat Khalid bin Waleed was given the task of finding and killing Musaylimah who had formed a large army of his own. At first, many Muslims were martyred but due to conscious of Saifullah in matters of combat, he climbed on a nearby hill, studied the situation, regrouped his force and ended up killing Musaylimah and defeating his armed forces. 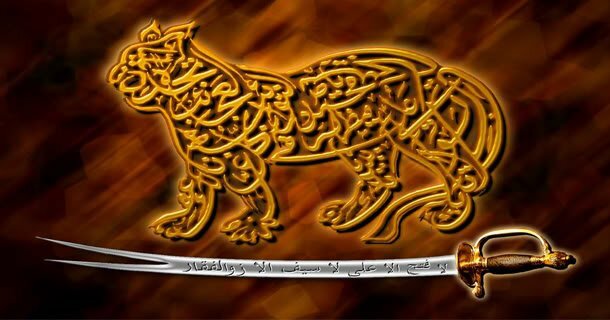 The second most distinguishing contribution of Hazrat Khalid bin Waleed (R.A) under the Caliphate of Hazrat Abu Bakr (R.A) is release the Iraqis from torture of their unjust and disbelieving Persian rulers. At first, Siddeeq e Akbar (R.A) had appointed two leaders, ‘Obaidah ibn Al-Jarrah (R.A) and ‘Amr ibn AI-‘As (R.A) and sent them to conquer Roman territories. But, after knowing about the high number of Romans awaiting them, the Caliph told Saifullah to go and take charge there instead. Hazrat Khalid (R.A) knew that it would make things distasteful if he had taken authority in place of the former two appointees. Therefore, he (R.A) opted for rotating the power among three for the sake of equal share. After devising a careful strategy, the “Sword of Allah” was able to overcome the Romans despite being better equipped and greater in quantity than the Muslims. After departure of Abu Bakr (R.A), the second righteous Caliph, Hazrat Umar (R.A) decided to make Abu Obaidah (R.A) the leader of the Muslims army instead of Hazrat Khalid (R.A). The Second Caliph exceeded in justice to such a high extent that he (R.A) felt inappropriate to keep employing Saifullah as the commander, as both were cousins. Therefore, Hazrat Khalid bin Waleed (R.A) clearly understood the delicacy of the matter, and left his place for Hazrat Abu Obaidah (R.A) after winning the conflict of Yarmouk. In short, Hazrat Khalid bin Waleed (R.A) was one of the righteous companions of Rasulullah ﷺ. He (R.A) truly earned the designation of “Sword of Allah” from the Holy Prophet ﷺ as he never feared in the combat zone and went on to win fights against disbelievers for uplifting the name of Islam in an emphatic manner. He (R.A) also received countless wounds on his body as a result of saving the Messenger`s (PBUH) life and also in other battles. 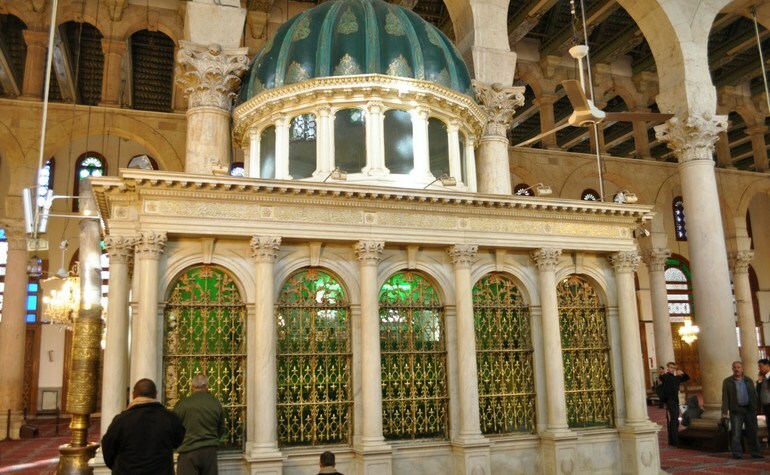 He (R.A) died in around 642 A.D in Syria at the age of almost 57. आप رضى الله تعالى عنه सन 592 इ मे एक नामवर खानदान मे पैदा हुए ! इसलाम कबुल करने से पहले आपرضى الله تعالى عنه इसलाम के कट्टर दुशमन थे ! आप हिकमते अमली और तरकीब व तरतीब के माहिर जंगज़ु थे ! आप رضى الله تعالى عنه ने 628 ई मे इसलाम कबुल किया और प्यारे नबी ﷺ के बहोत करीबी हो गए प्यारे नबी ﷺ ने आपकी शुजाअत बहाद्दुरी और हिकमते अमली व जंगज़ु के माहीरीन कि बिना पर आपको सैफुल्लाह का लक्ब दिया यनी अल्लाह की तलवार गौर व फिक्र की बात है जो अल्लाह की तलवार हो वह कैसे मांद हो सक्ती है ! प्यारे नबी ﷺ के परदा फरमाने के बाद हज़रत अबुबक्र सिद्दीक رضى الله تعالى عنه की दौरे खिलाफत आई और आपको हज़रत अबुबक्र رضى الله تعالى عنه ने फौज का सिपह सालार मुनतखीब किया 7 हिजरी मे जो इसलामी हुकूमत को जो कामीयाबीया मिली ऊसके मुकम्मल हकदार आप رضى الله تعالى عنه हि है ! आपने अल्ग अल्ग सौ से ज्यादा जंगे लडी दुनिया के यह वाहिद सिपहे सलार है जो कोई जंग हारे नही बल्कि हर वह जंग जिसमे यह शामील हाल थे फतहे हुई ! रोमन सीरिया, मिस्त्र, फारस, मेसोपोटामियापर इस्लामी फौज ने कामीयाबी से फत्हे की जिसके लिए आपकी पहचान बन गई सैफुल्लाह और जब कोई जंग होती और दुशमन को पता चलता सैफुल्लाह इस जंग मे मौजूद है दुशमन कांपने लगते ! इनका इंतेकाल 642 ई मे हुआ ! इनहे होम्स मेँ ही दफनाया गया था ! अब उस जगह पर मसजिद खालीद बिन वलीद तामीर है ! खालिद बिन वालिद ने फैसला कुन पैँतरेबाजी का इसतेमाल करके फारसी हुकुमत की बड़ी ताकतो को हरा दियाकि जिसकी पेशनगोई प्यारे नबी ने कि थी इस तरहा कैसर व किसरा इसलामी हुकूमत मे शामील हो गया !